Discussion in 'AJ-Aircraft.com' started by AKNick, May 16, 2015. Fast rollers and blenders finally caught up with this bird. 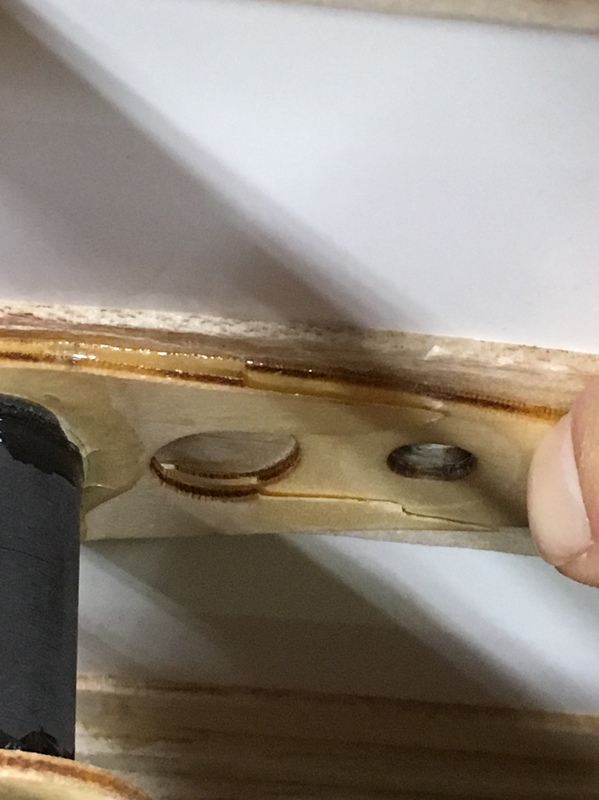 Right wing bolt support cracked! Wing moves about a 1/2” with the bolt installed. 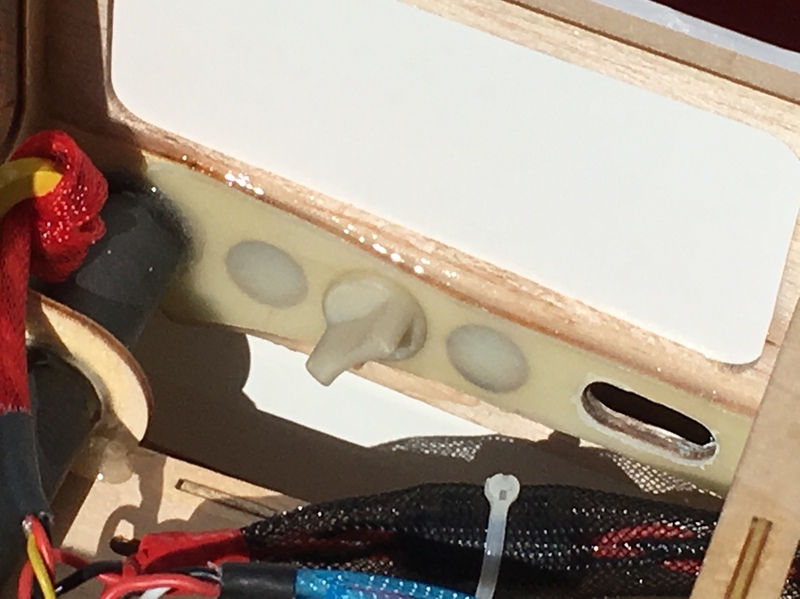 Made some thin G10 board support and epoxied it in place. Much more robust, but still flexes a bit. Went flying with the repair, and it held up quite nicely. Need to do the other side. Worked on my throttle curve. 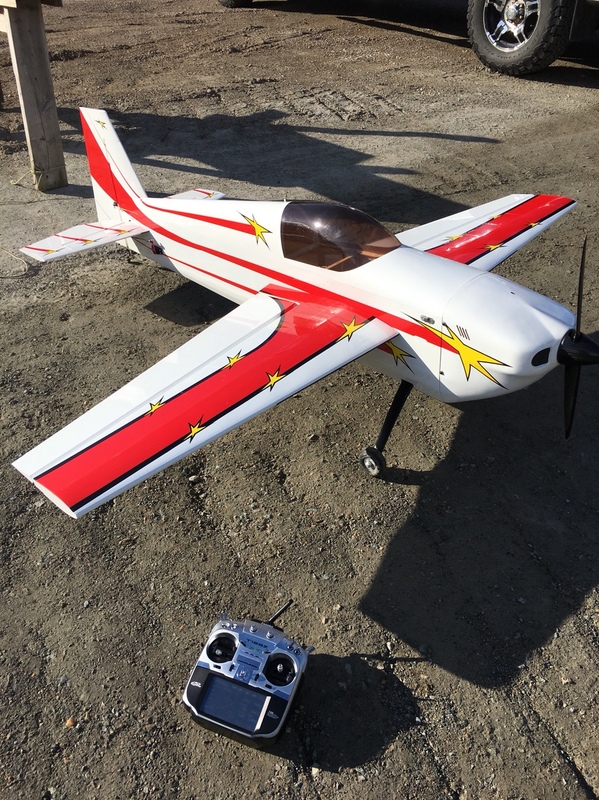 It’s not so jumpy on takeoff and hovers with a buffer at 1/2 throttle, then spikes for my throttle bumps for rollers. Try and set your servo up so that it has a mechanical curve built into the throttle linkage, it really smooths things out and makes the throttle feel way more linear. 49dimes, Alky6, AKNick and 1 other person like this. 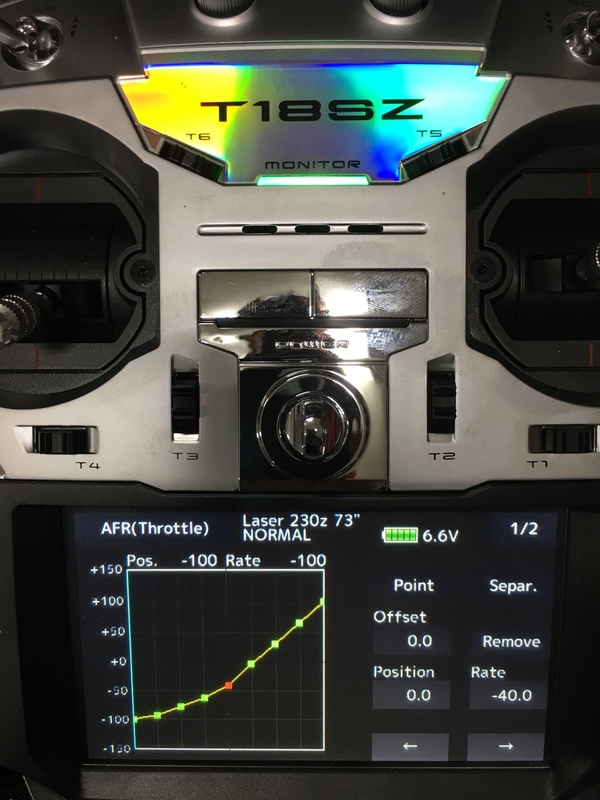 Throttle curves in your transmitter will help to smooth out the midrange but can make a very sudden and often ballistic top end power range. Mechanical curves are really the only way to overcome this issue. Noted. For the ballistic on the top end... my steep climb starting below half stick position at about -40% (at what would be half stick position 0% without the curve) to create a retarded half stick position at +25% advance (the new 0% for half valve position for this linear linkage setup)... this makes the top end throttle valve (past half throttle stick position) linear from half stick to full stick which isn't ballistic but rather subtle in this case. If anything it seems to lack power lol. But like I said, it works for me. I love that chart you posted, worth printing off a leaving it around the shop. Thanks for that! Edit: I read somewhere that all the small gassers 35cc and under lack an upper throttle range above half throttle. So they peak pretty quickly too which might skew the chart. After the years this assembly thread has been posted, My maiden video was terrible... my wife tried but I couldn't edit enough to post (bless her heart). I finally made a video of this plane flying around doing some 3D maneuvers. It's shot with a GoPro Hat clip cam, so it looks farther than it really is. WMcNabb, pawnshopmike and acerc like this. Great flying, great edit and beautiful scenery! What’s not to like?! WMcNabb and AKNick like this.